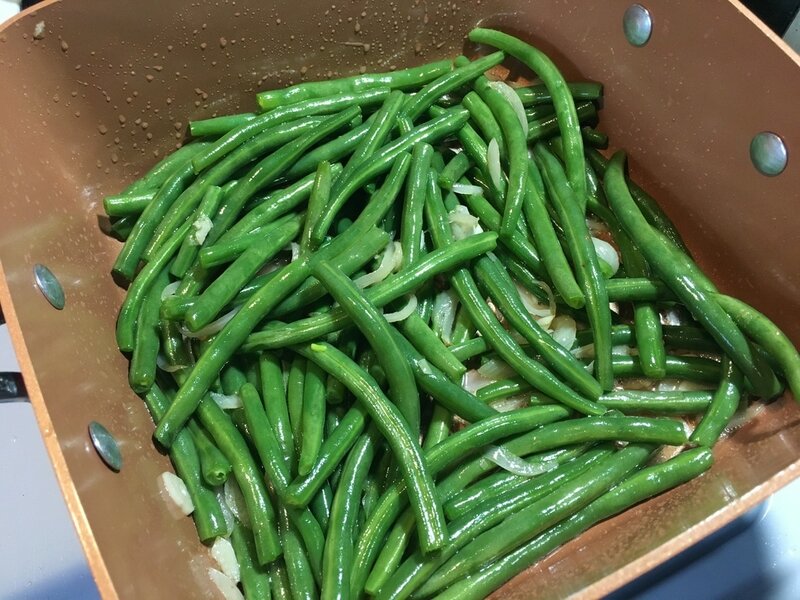 One of my favorite vegetables is green beans. 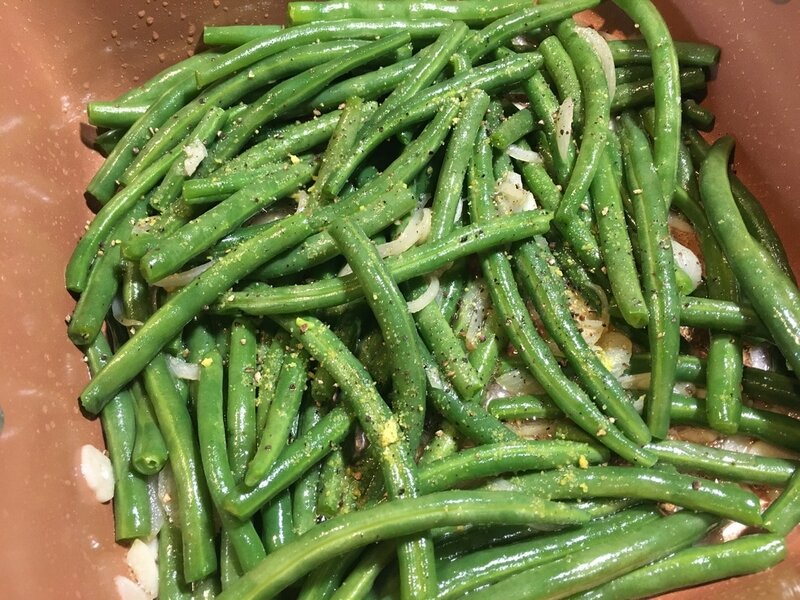 Fresh green beans, that is. I could sit there and eat it like spaghetti. 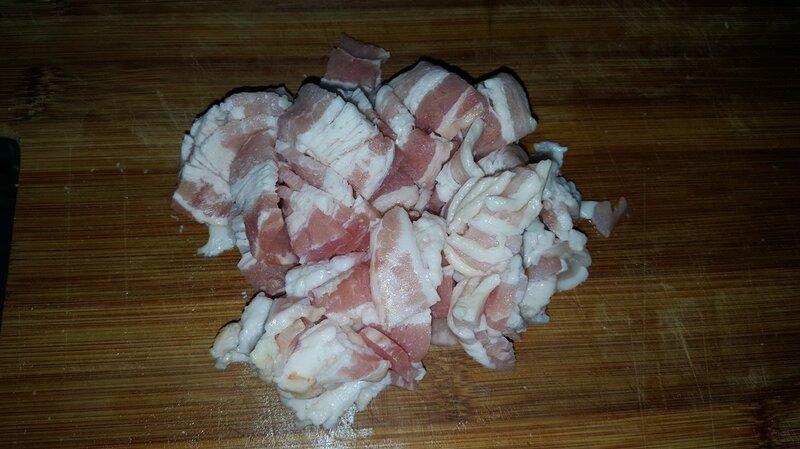 I especially enjoy it when it has a slight crunch and it's sauted in a nice garlic butter sauce. My mouth is already watering... Now, add on the bacon and you've got a delicious side that accompanies practically anything. 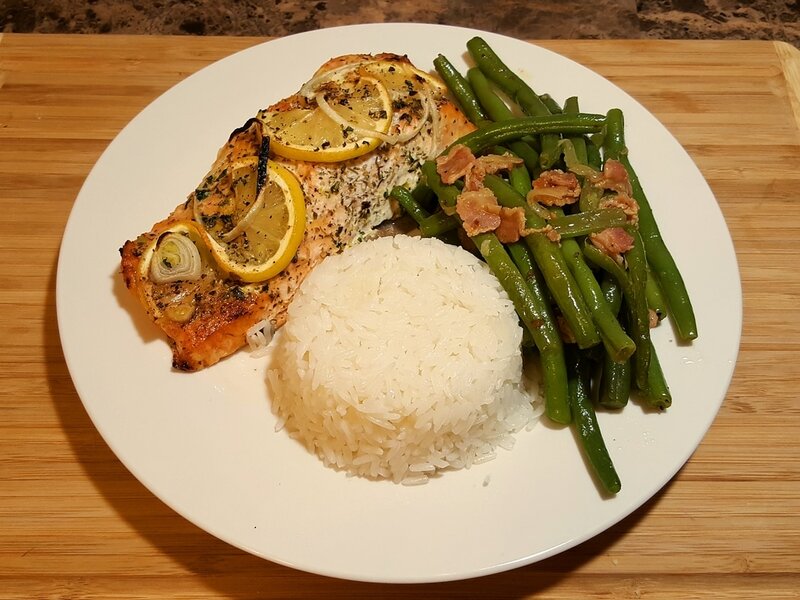 This is a simple recipe and the spices used are all based to taste to find your perfect medium. It's not an original but it's my personal take on my favorite vegetable. 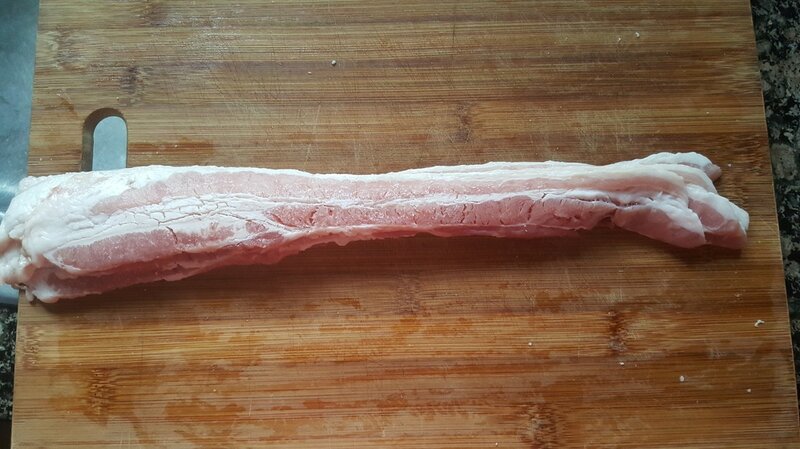 As for my family and friends who don't eat pork, don't get put off by the bacon. 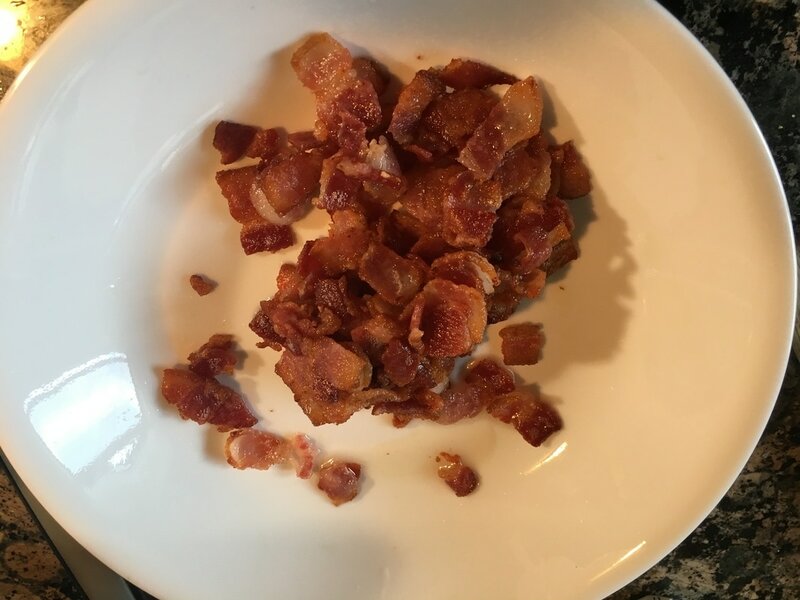 You can easily substitute it for turkey bacon with nearly the same results. 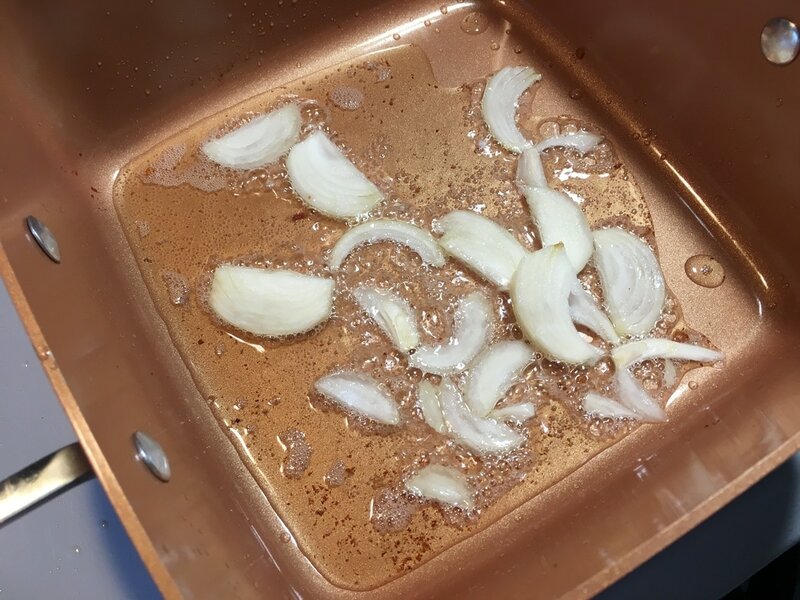 As with any recipe on this site, I hope you give this one a try. Don't forget to let me know what you think in the comments section below. ​1. 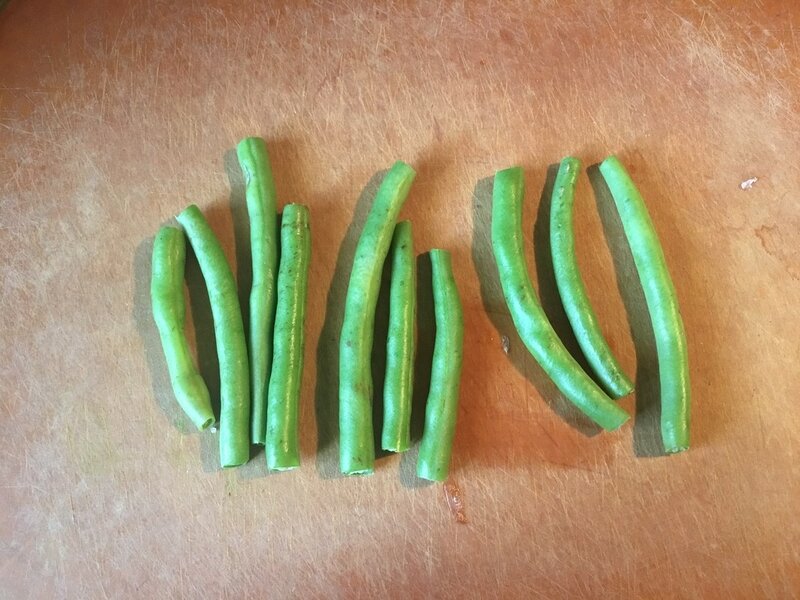 Prepare about a pound of green beans by snipping off the ends and rinsing them thoroughly. 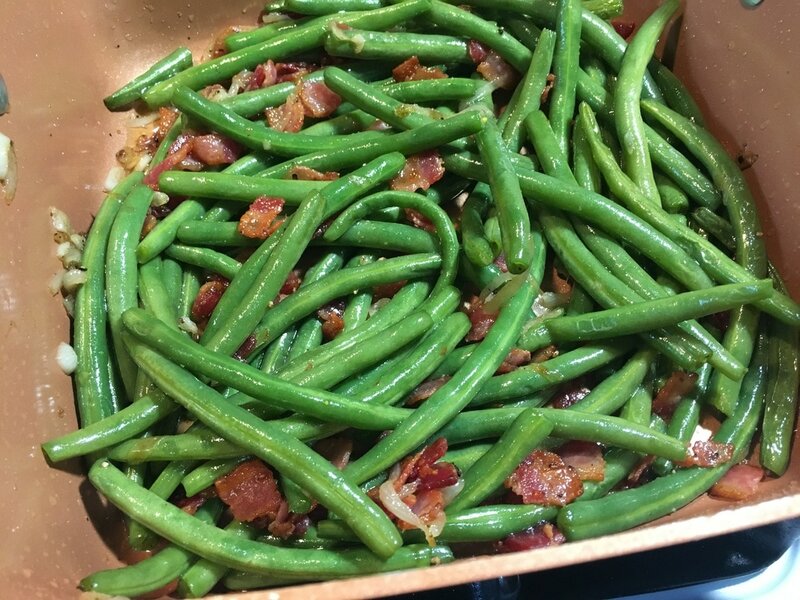 Set green beans aside. Here, I have a little over a pound. *Keep in mind that you can play around with the amount of spices and ingredients based on how many pounds of green beans you make. So all these amounts are roughly for every pound of green beans. ​3. Slice about 3 - 5 garlic cloves and set it aside. 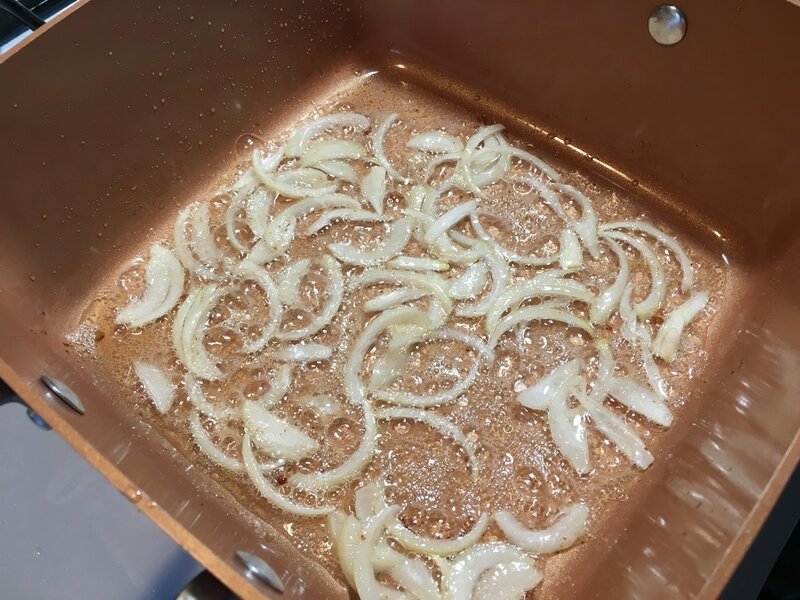 Slice about ½ - 1 onion and also set that aside. 4. 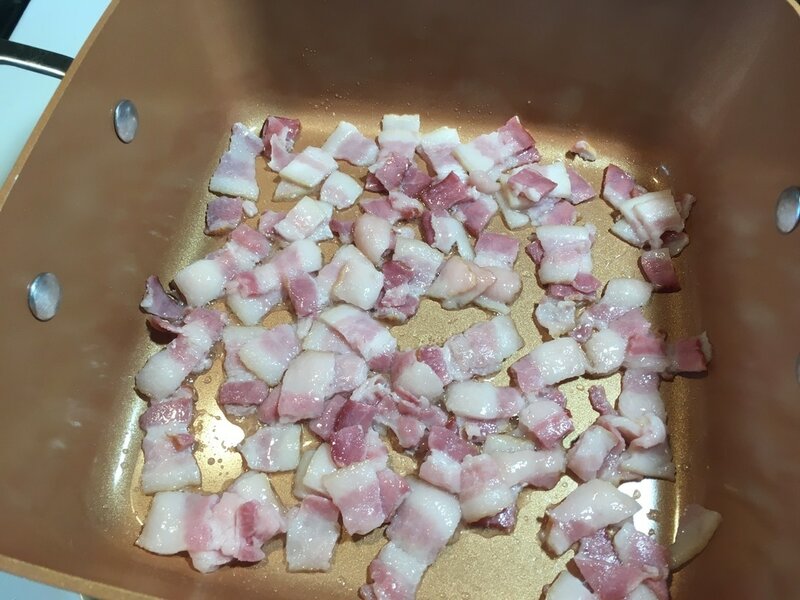 In a sauce pan or pot (one that will be big enough to add the green beans in later), sauté the bacon pieces on medium heat until cooked through, about 10 minutes. Do not add oil as it will render a lot of its own. ​5. 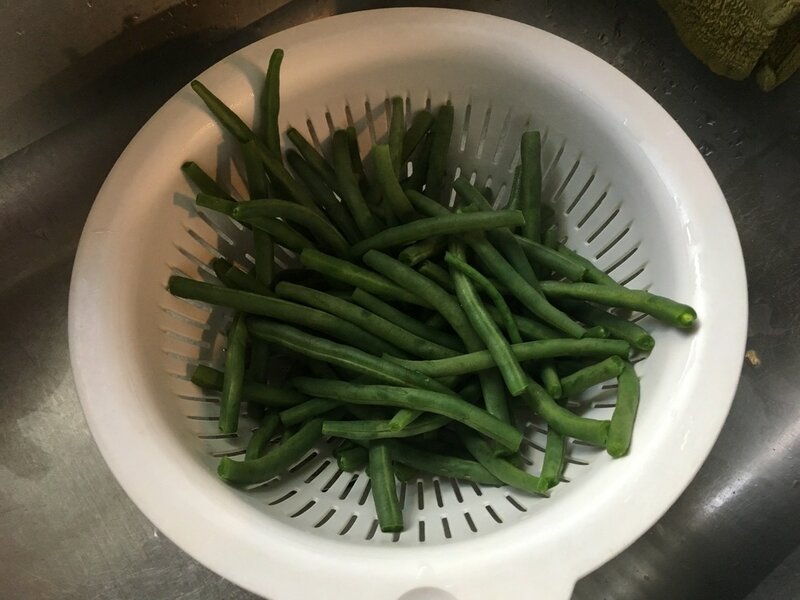 Meanwhile, in a separate pot, bring enough water to a boil on high heat for the amount of green beans you plan to make. Salt the water. Once it reaches a roaring boil, add in the green beans and allow it to boil for 5 minutes. 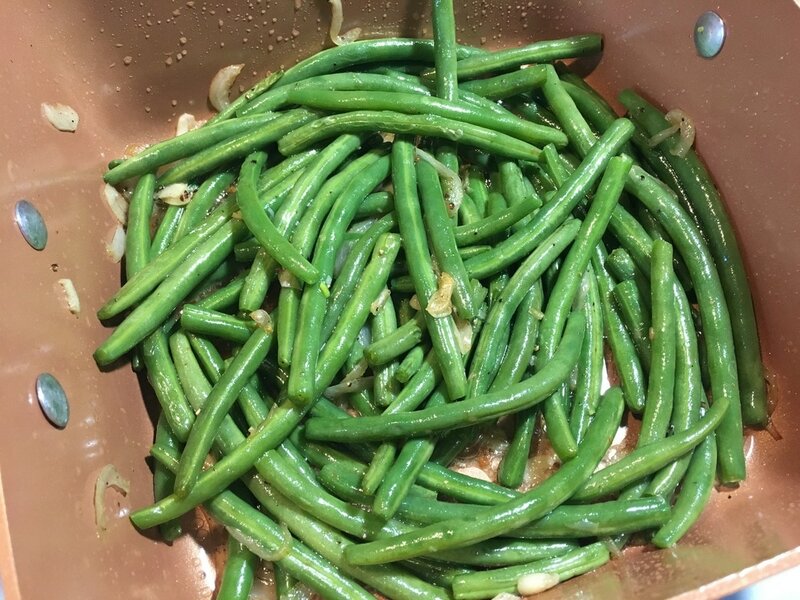 Drain green beans and set aside. 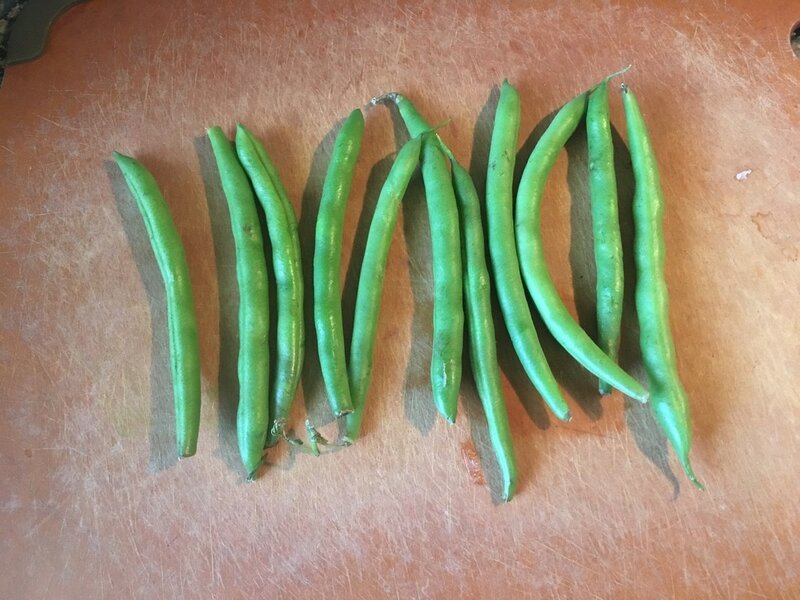 Don’t blanch the green beans in cold water since they will be cooked down further in the following steps. 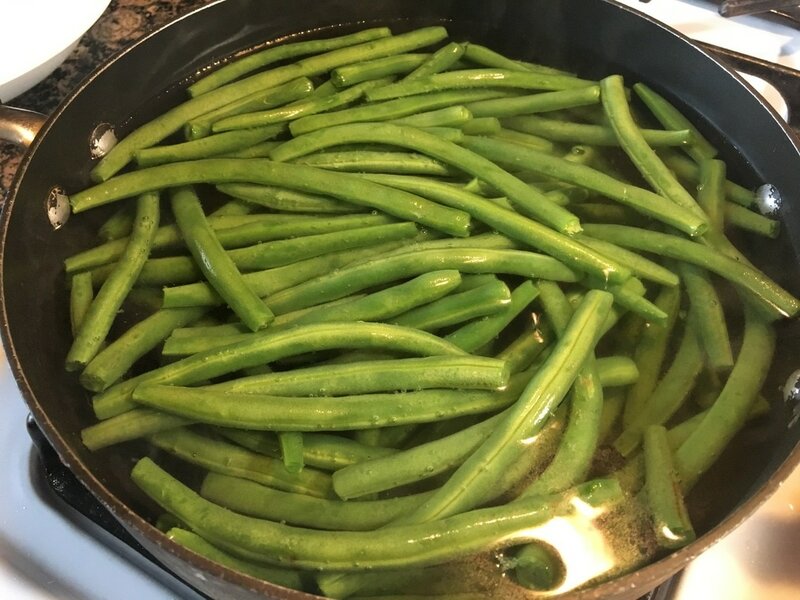 So take that into consideration when deciding how long to boil the green beans (especially if you prefer them more on the tender side). ​6. 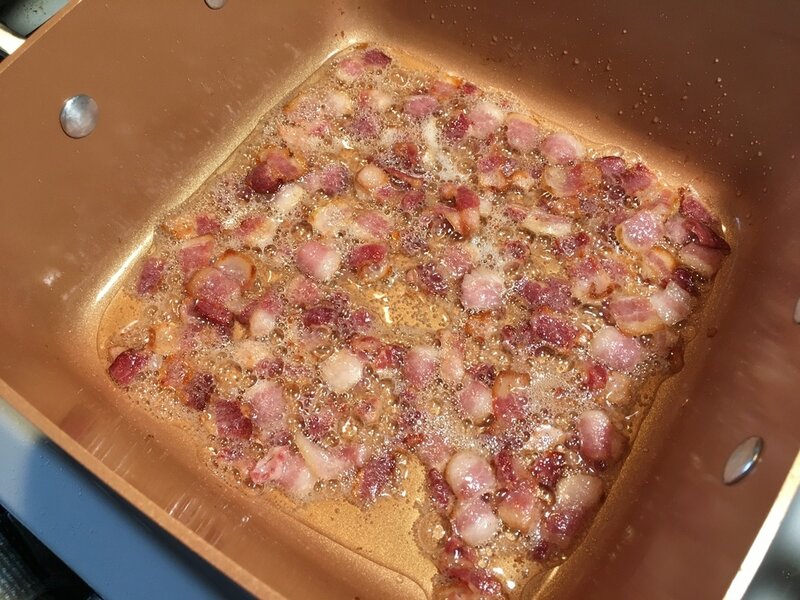 Once the bacon is cooked through and is crispy, remove it from the pan with a slotted spoon and set it aside on a plate. 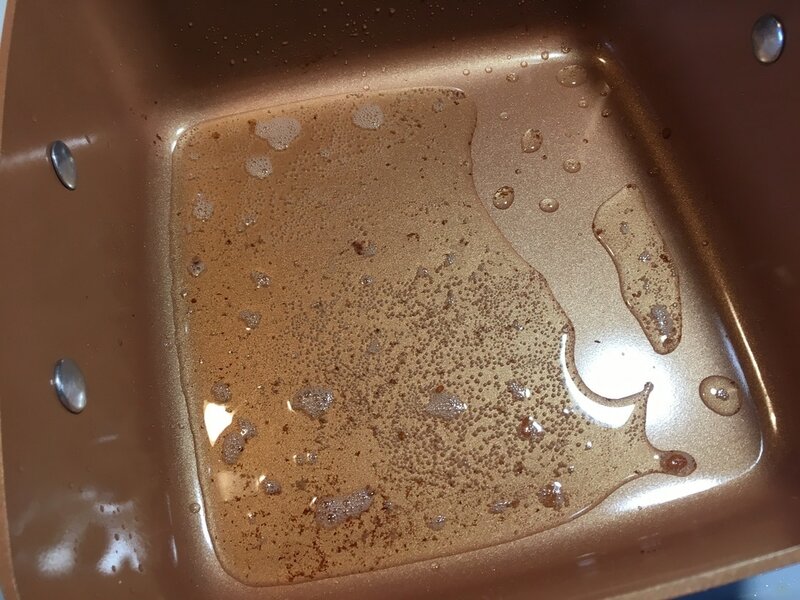 Leave the oil in the pan. ​7. 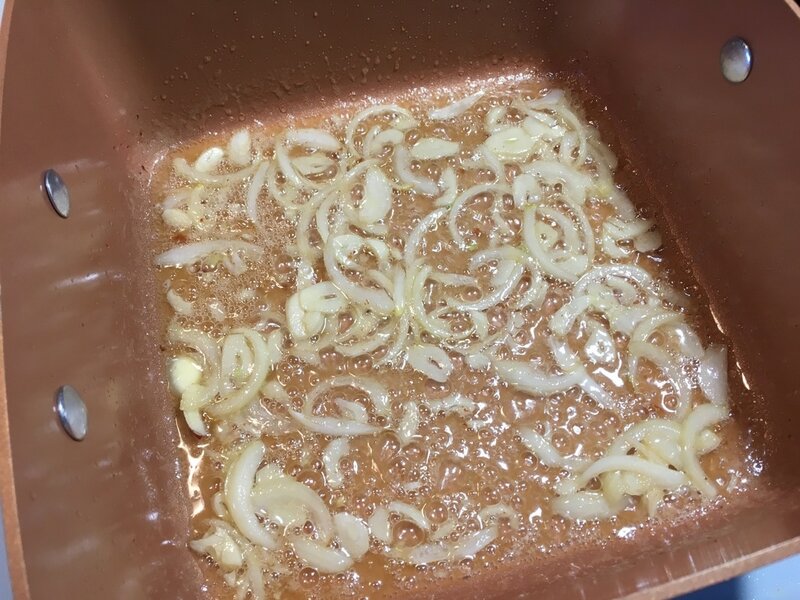 To the bacon oil, add in the sliced onions and sauté for about 1 minute. ​8. Add in 1 – 2 tbsps. 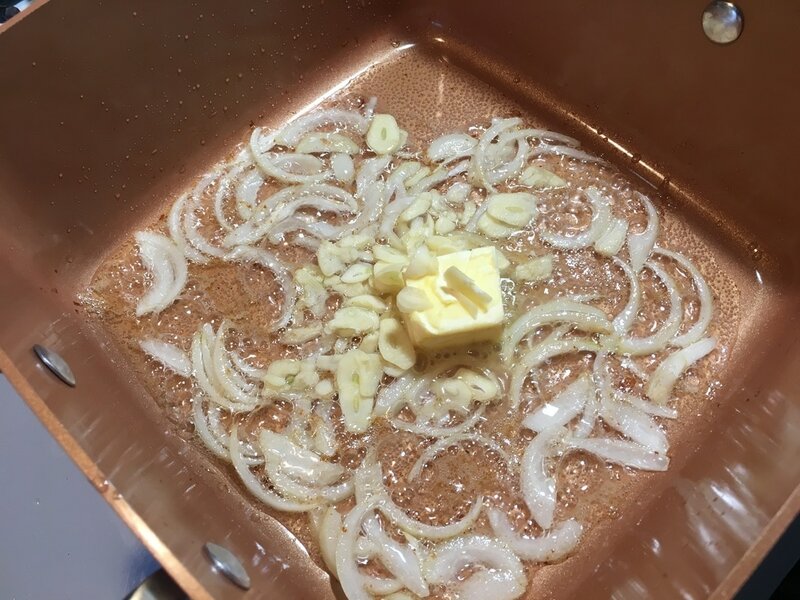 of butter and the sliced garlic. Mix it around until the butter melts, about another minute or so. ​9. 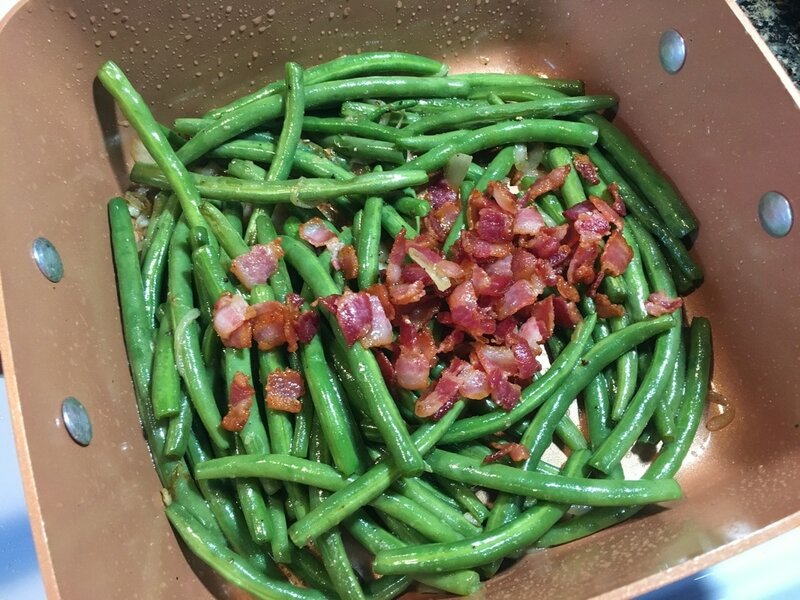 Add in the drained green beans to the pan and combine thoroughly within the mixture. ​10. 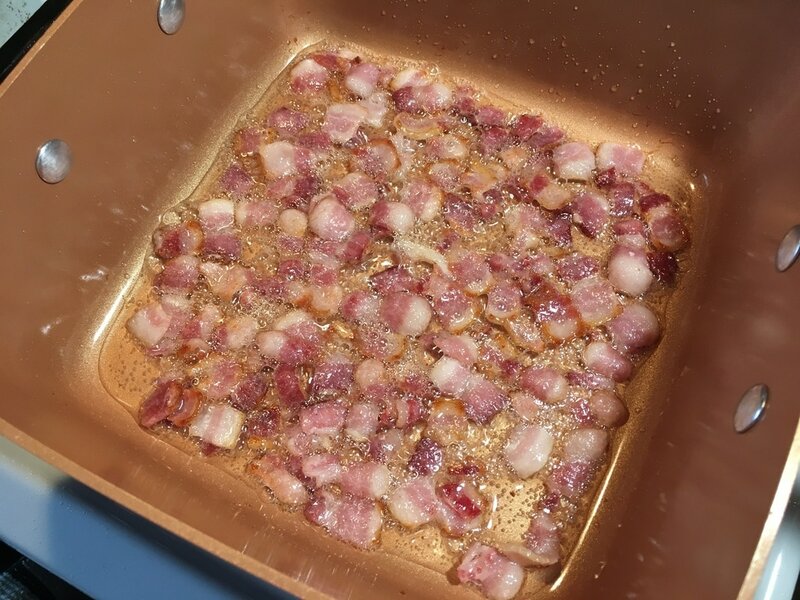 Sprinkle in a small portion (about ¼ of the cube) of a finely crushed Maggie cube or to taste as well as fresh ground black pepper and ground sea salt to taste if desired. Mix thoroughly to well incorporate seasonings and place lid on the stem. Remember that this is all still on medium heat. Let the green beans steam for about another 5 minutes in order to cook, stirring occasionally. 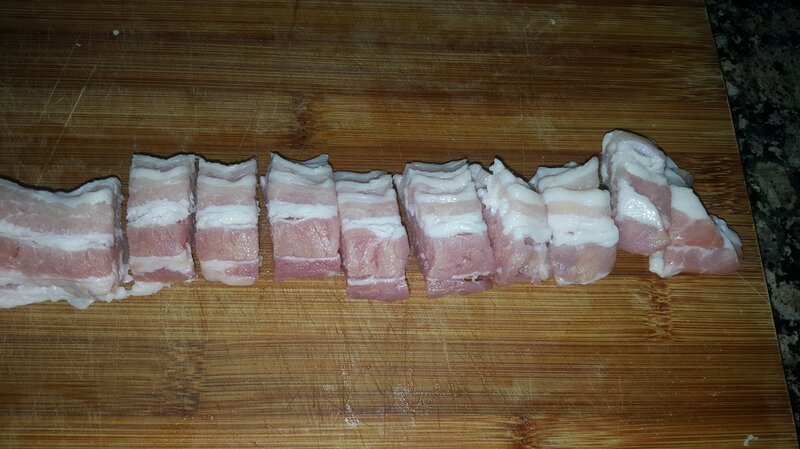 If you prefer it to be more tender, allow it to cook longer until desired tenderness is reached. ​11. 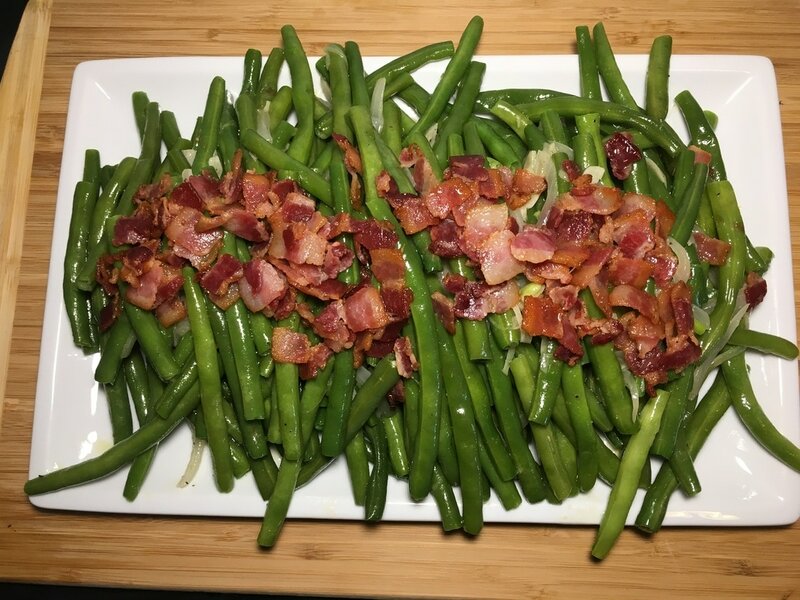 Once the green beans have reached your desired tenderness (I like mines slightly on the crunchy side) turn off the heat and add in the crispy bacon bits. Mix thoroughly. Enjoy with any accompaniment of your choosing. What do you think of this recipe? 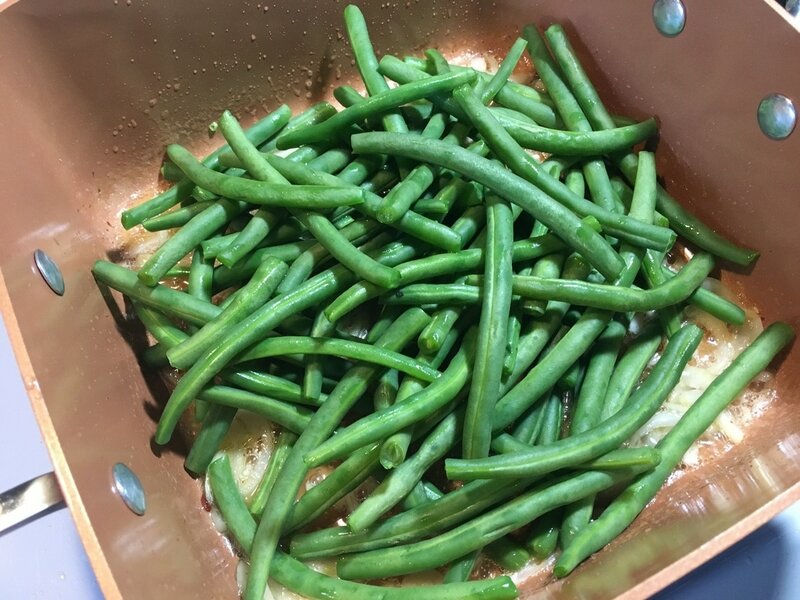 What do you like to eat green beans with?